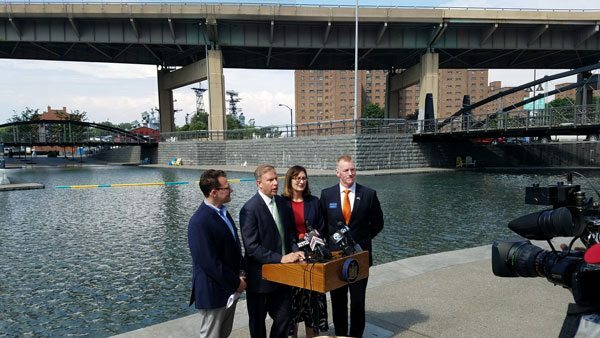 AUG. 4, 2017 — BUFFALO, N.Y. — Standing near the construction site of the new Explore & More Children’s Museum on Buffalo’s waterfront, New York State Senator Chris Jacobs (60th SD) announced three state grants that he secured to support the museum, the Buffalo Heritage Carousel project and a major expansion at the Buffalo & Erie County Naval & Military Park. Each project will be the recipient of a $500,000 state grant for a combined investment of $1.5 million in new development and construction. All three projects are anticipated to be completed in late 2018. 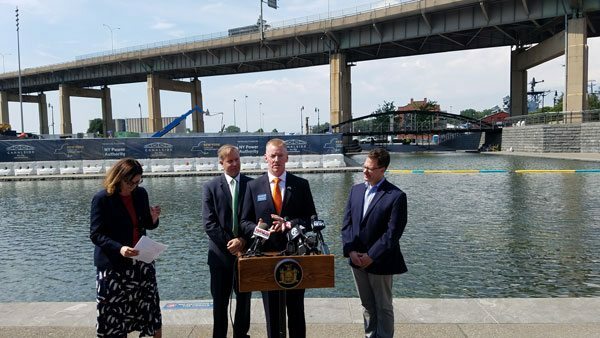 Jacobs said he believes that the economic impact to the region will be greatly enhanced by these permanent structures. 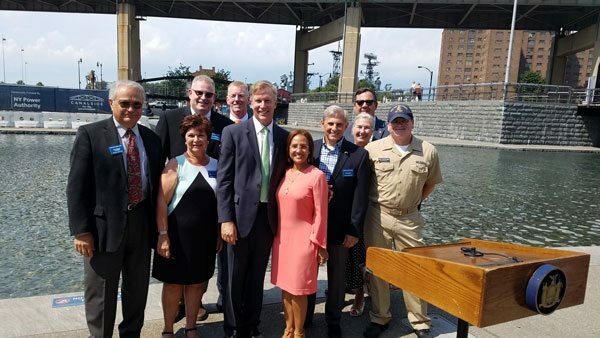 “The success of these projects will do so much more besides enriching the overall Canalside and waterfront experience for everyone who visits,” said Senator Jacobs. 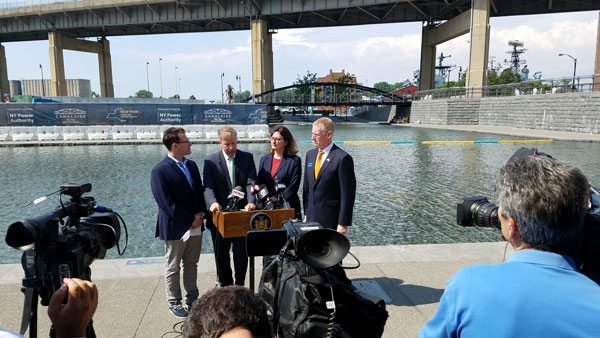 “They will create jobs, attract more visitors and spending from outside the state and region, and further advance our goal of Buffalo’s waterfront becoming a year-round destination,” he concluded.